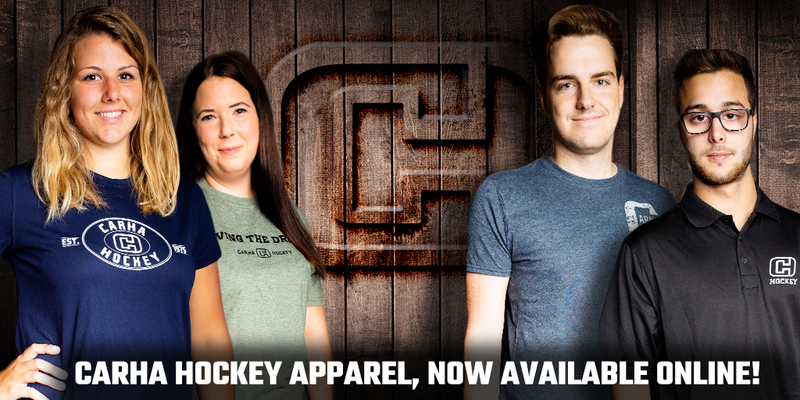 CARHA Hockey is proud to announce the launch of an all-new and redesigned store for our apparel and merchandise! Click the "Shop" drop-down on the top menu to navigate our various categories of merchandise. Keep an eye on our "Featured Collection" as we plan on introducing special sale items in this space! Contact us if you have any questions, and begin shopping right away!